You may have recently watched the brilliant film “Pantani: The Accidental Death of a Cyclist”. 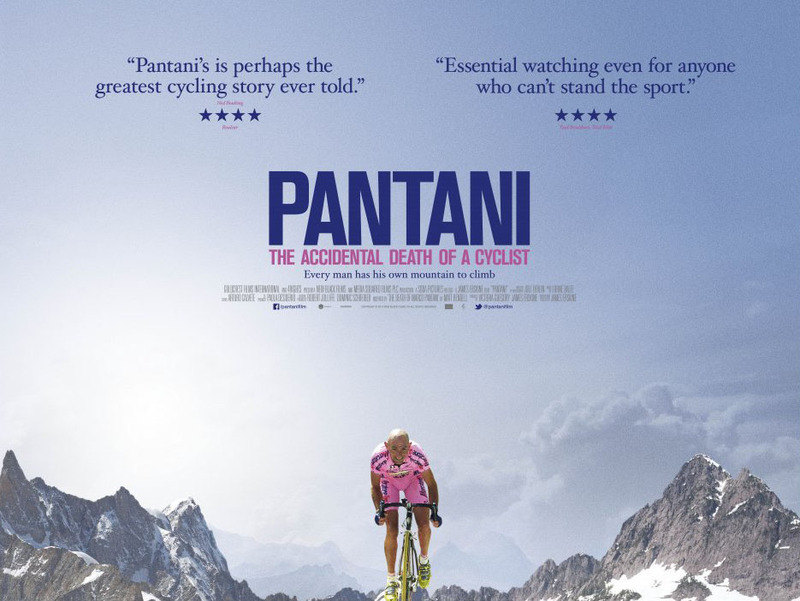 Well before the film was launched Barry and I had chatted about the amazing saddle designs Selle Italia produced to celebrate his victories. 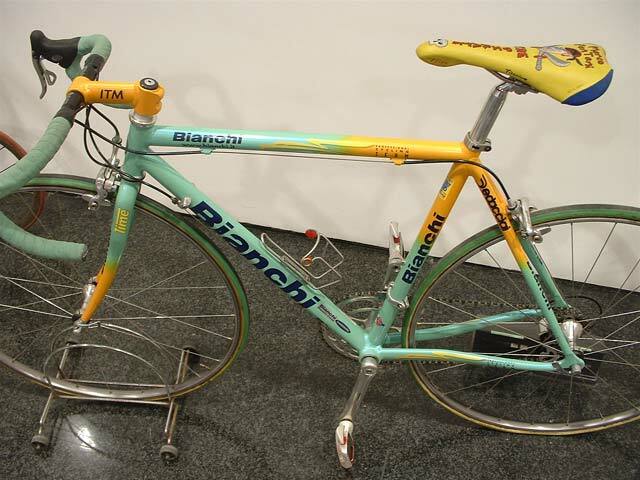 Bianchi produced him a beautiful Mega Pro XL Reparto Corse using a lightweight Dedacciai doubled-butted 7000-series shaped alloy tubeset and a Campagnolo Record group set. 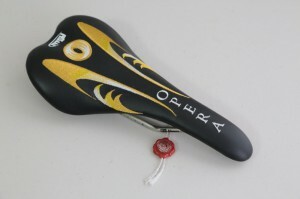 The total bike weight varied from stage to stage but quoted figures hover around 8.1kg (17.9lb). 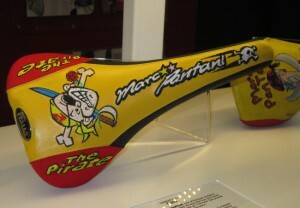 Selle Italia took their flite saddle and produced a custom saddle for Pantani using his nick name ‘Il Pirata’ as inspiration. 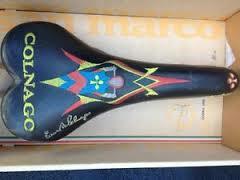 Selle Italia also produced some other embroidered saddles for Colnago and Pinarello. 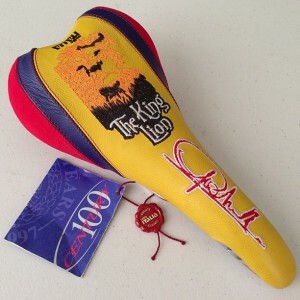 I also found this Mario Cipollini “The King Lion” special edition and a Tinker Juarez saddle, they clearly liked yellow as a base. 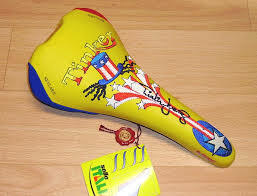 What do you think the pro rider of today would like?